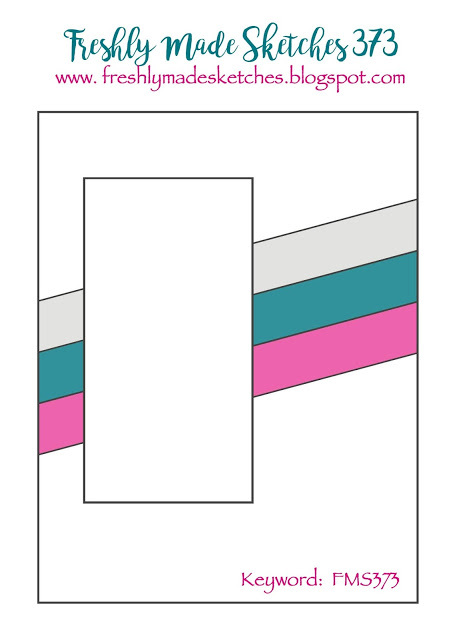 I'm squeaking in at the last minute with a card for the Freshly Made Sketches challenge. I spent the afternoon watching the Super (Snooze) Bowl and then went out and enjoyed the 8 inches of snow we got today!! I love snow so that was definitely the best part of my day. However I had this card sitting on my craft desk waiting to be finished so here it is. 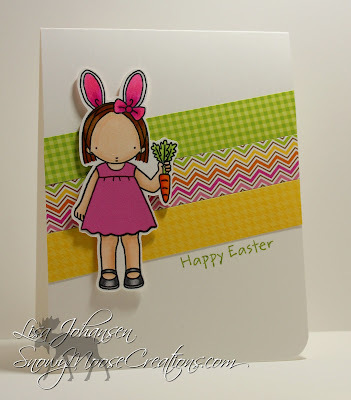 I decided to get going on Easter cards and used one of my favorite Pure Innocence stamps, I think she is just too cute! The paper is from a Doodlebug pad I had in my stash and I used a die to cut strips from different colors and patterns. I also used some of the pink paper in the pad to paper piece the girls dress. I popped the image up with dimensionals and then finished the card off by stamping 'Happy Easter' in green. Bright, happy, and adorable! I love this card. Thanks for joining us at Freshly Made Sketches this week!